Secondary bone cancer. 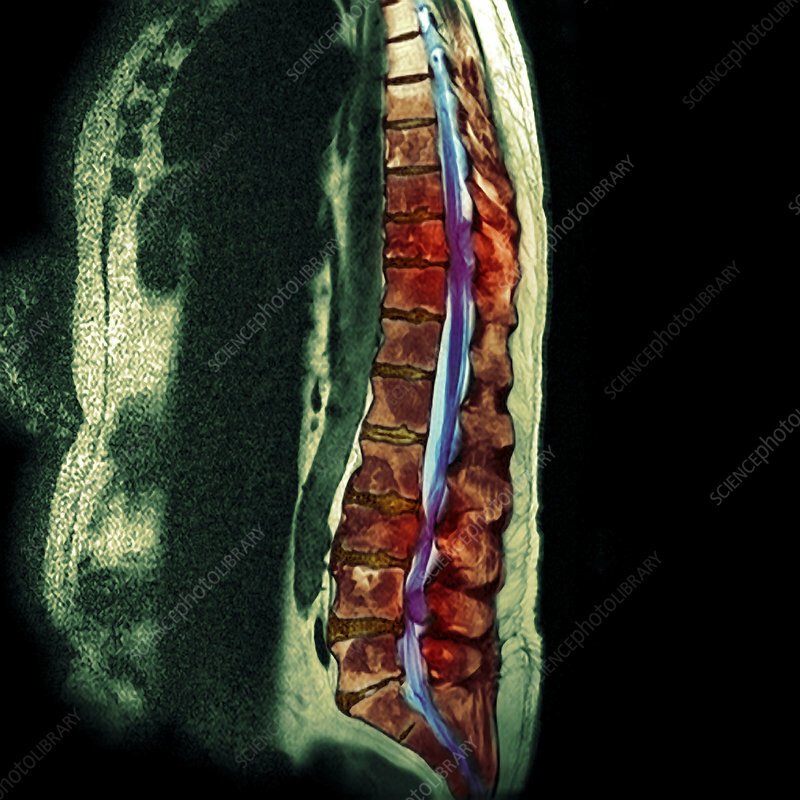 Coloured magnetic resonance imaging (MRI) scan showing a 57-year-old man with malignant (cancerous) tumours (red) in his spine (brown). The tumours have metastasised (spread) from primary small cell lung cancer. In the middle back (thoracic vertebrae) there is a tumour (red, upper centre at T10 and T11) surrounding the spinal canal and causing cord compression. Further down there are two other affected sites in the lumbar region. Symptoms are often rapidly progressive and rarely reversible. Prompt diagnosis and decompression by surgery or radiotherapy is the only way to minimise subsequent disability.